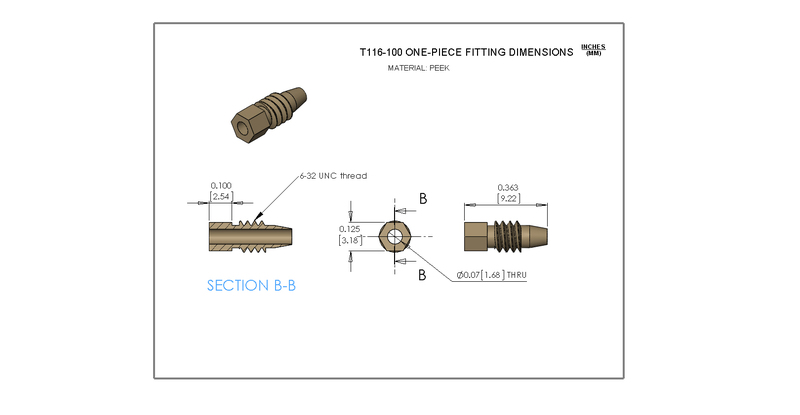 One-Piece Fitting for connecting capillary or tubing to CapTite™ components. PEEK™. 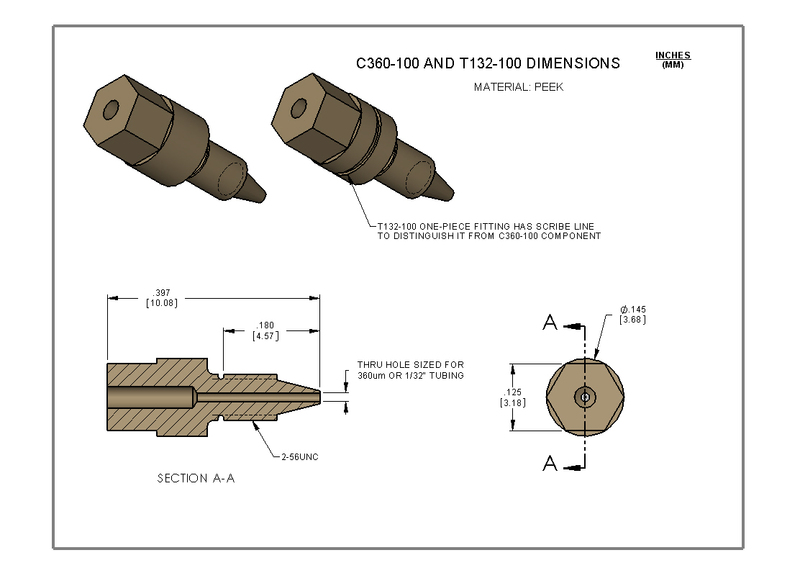 Available for 360um OD capillary (C360-100), 1/32" OD tubing (T132-100) view drawing, and and 1/16" OD tubing (T116-100) view drawing.